Pickles Roadhouse | Crystal Water Villas Blog - Lake of the Ozarks! Can you believe September is already here? Where did summer even go?! If you’re not into summer heat and bustling crowds, there is no better time than fall to head to the Lake of the Ozarks. Fall festivals. Jacket weather. S’mores and reminiscing over a campfire. The changing leaves. Gold. Red. Orange. Brown. Beautiful. 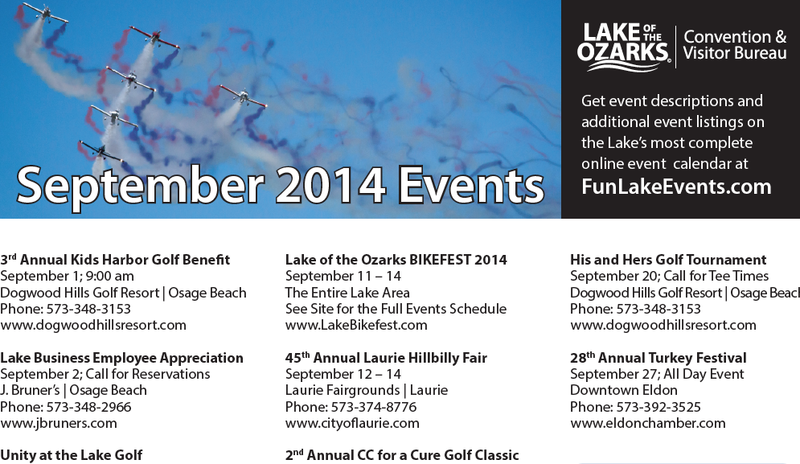 Check out a full list of events in September at the Lake of the Ozarks here.